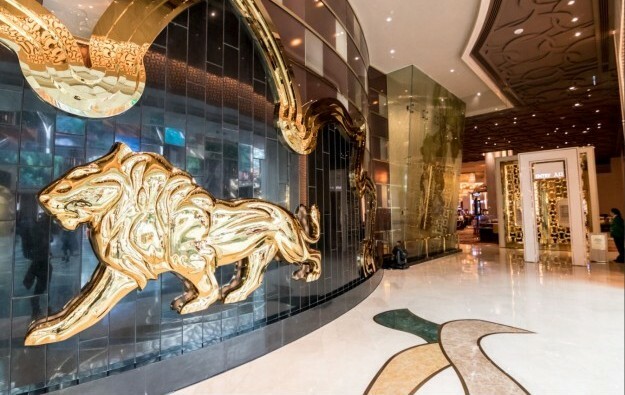 It has emerged that two of Macau’s major junket investors opened VIP gambling facilities at the MGM Cotai casino resort shortly before the autumn Golden Week holiday period marking China’s National Day on October 1. Neither Suncity Group nor Guangdong Group publicised the respective VIP room launches to the mainstream media ahead of them happening. Instead they gave the news retrospectively on social media. MGM Cotai (pictured), promoted by Macau casino operator MGM China Holdings Ltd, had opened in February without any junket-based VIP gambling. A Monday memo from brokerage JP Morgan Securities Asia Pacific Ltd, had cited some of its Macau junket contacts voicing concerns about “weakening ‘gambler confidence’ amid macro uncertainty”. Guangdong Group had an opening ceremony for its MGM Cotai club on September 28, according to its Facebook account in a Tuesday posting. The area is said to have 12 gaming tables and seven “salons” – understood to refer to private rooms separate from the main VIP floor. Suncity’s MGM Cotai club had a launch event the following day, September 29, according to promotional materials published on Tuesday on that junket brand’s Facebook site and via its WeChat account. On Wednesday a Suncity Group representative – in response to an enquiry from GGRAsia – clarified its new MGM Cotai facility had 15 gaming tables and seven salons. The person added it was Suncity’s 17th VIP club in the Macau market. GGRAsia attempted to contact Guangdong Group for comment, but had not received a response by the time this story went online. Its Facebook post said its MGM Cotai facility was the junket brand’s 13th Macau VIP club. MGM China’s chief executive Grant Bowie mentioned to media in August that the casino operator expected to see a total of five junket operators establish gaming business at MGM Cotai between September and early 2019. Tak Chun Group, another major Macau junket investor, said last month it expected to open a club at MGM Cotai – its 17th in Macau – in the final quarter of this year.